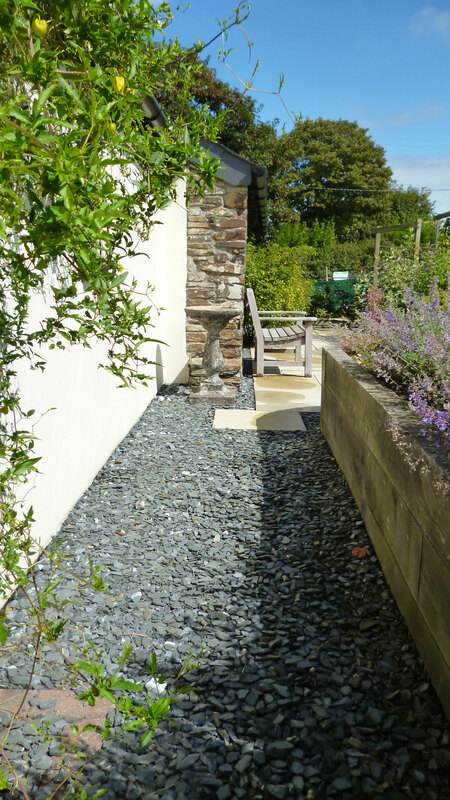 I thoroughly enjoyed transforming this small country garden from what was just a lawn at the back of the house to a tranquil treat for the senses. On this occasion, my client was having a new garden room added to the house and wanted a garden that she could look out on. 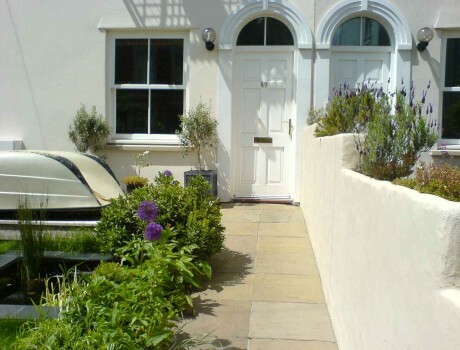 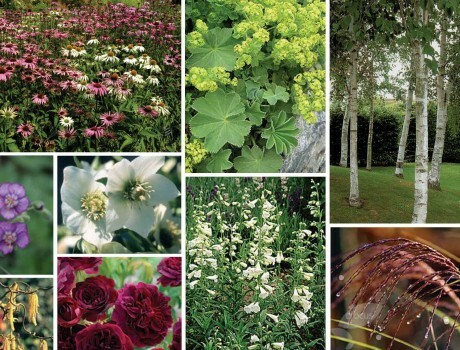 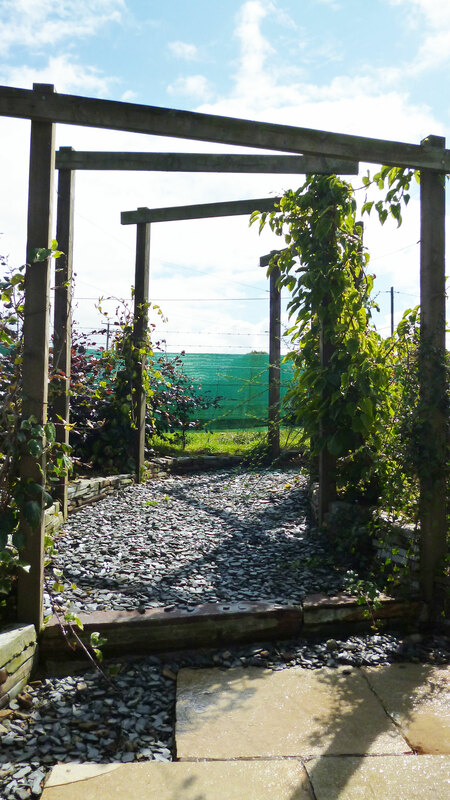 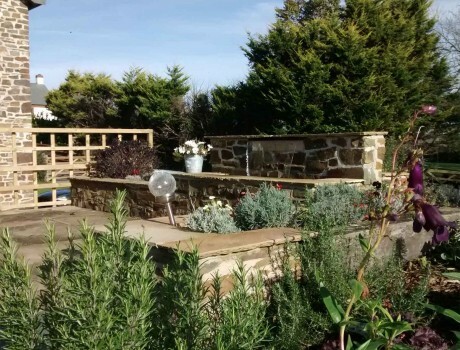 She is a keen gardener and has lovingly nurtured the plants to create beautiful year-round interest. 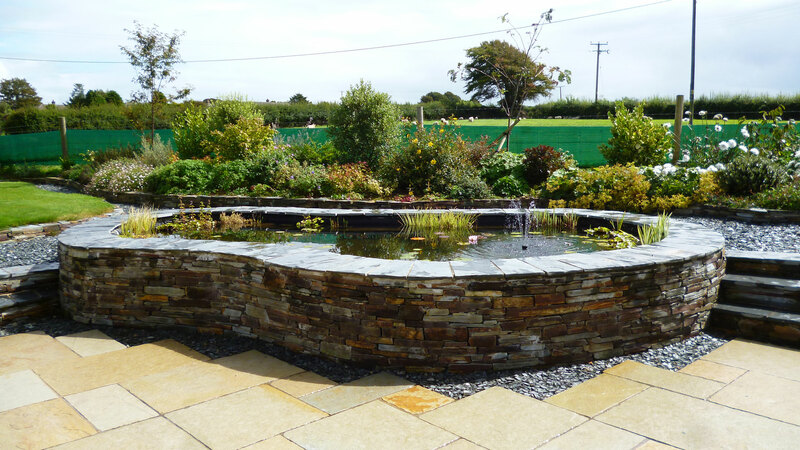 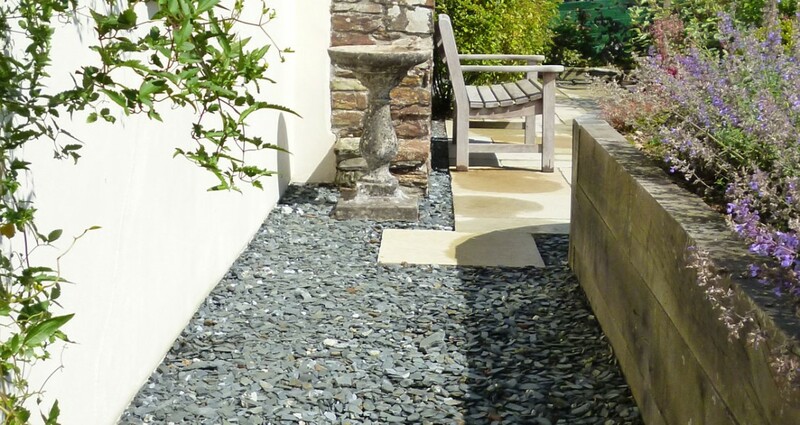 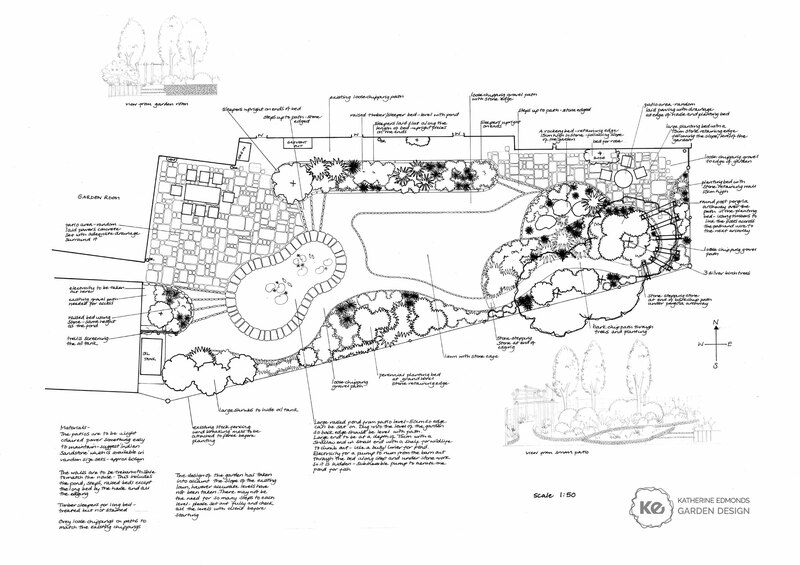 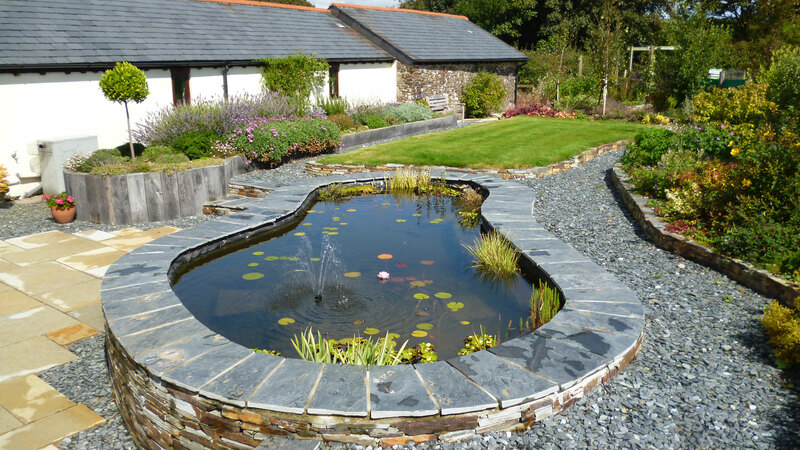 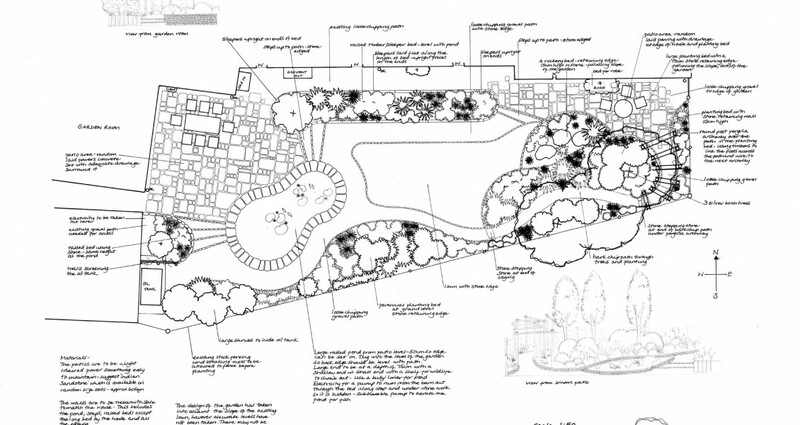 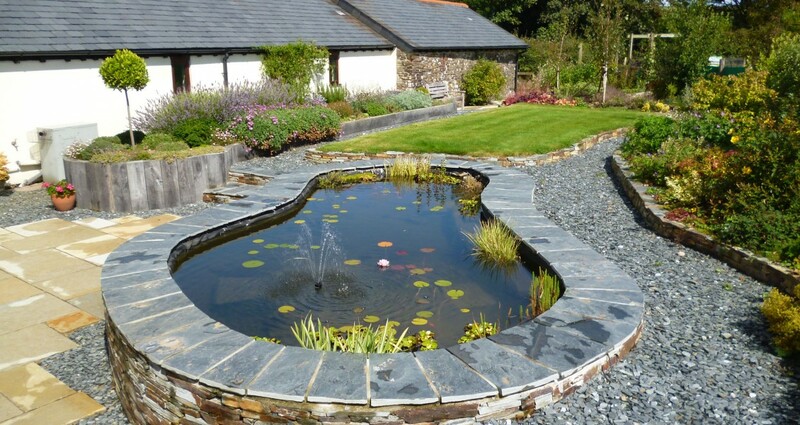 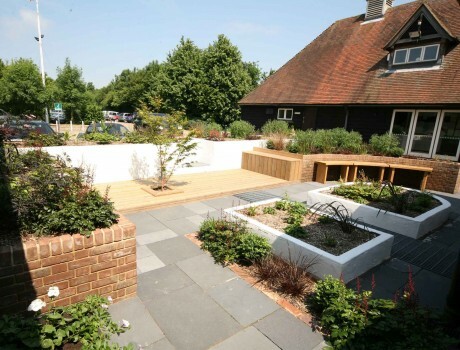 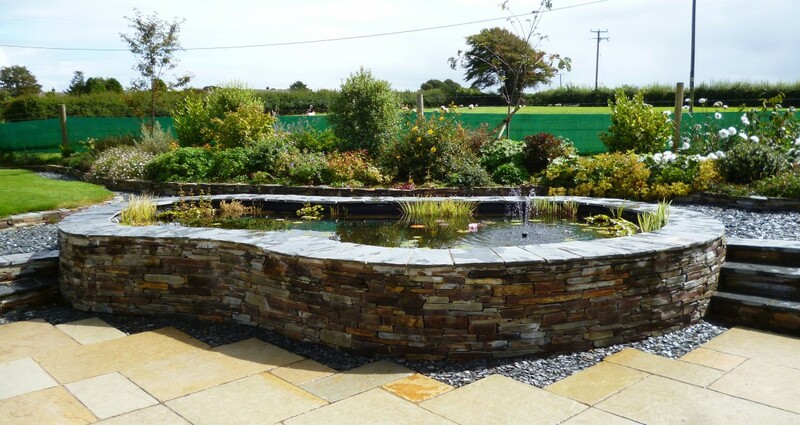 A large, raised ornamental pond is the key feature which retains the levels to create a large sunny patio. 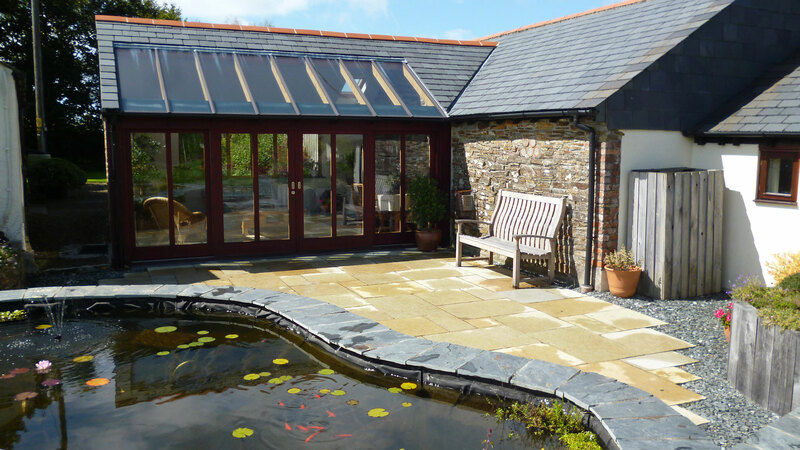 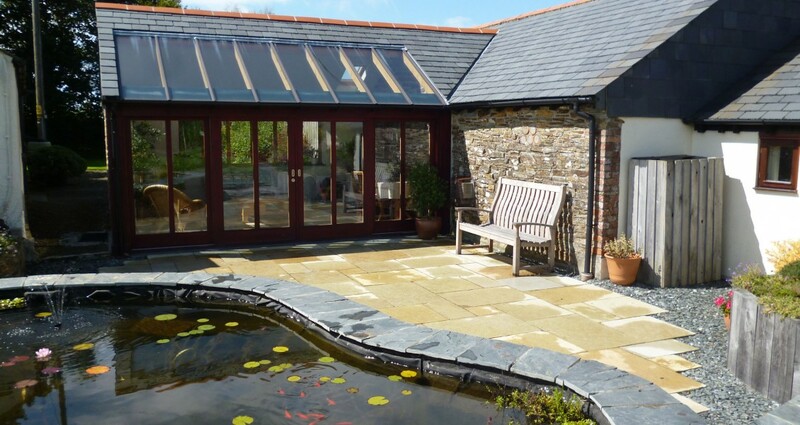 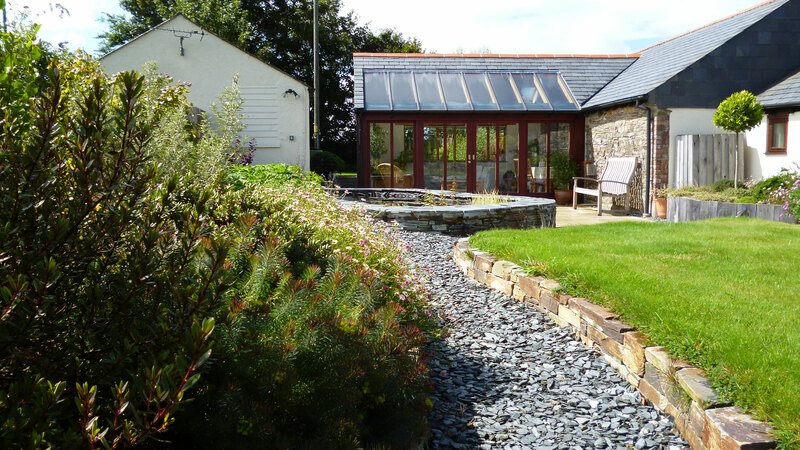 The use of lighter limestone paving warms and lightens the garden room which now looks out over the visiting wildlife and a fabulously crafted slate wall. 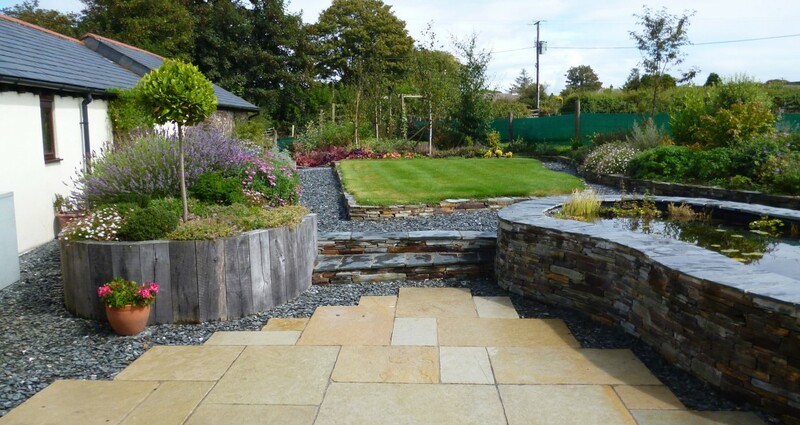 Slate borders add to a gorgeous mixture of pearly greys, greenish greys and rusty browns which compliments the build of the house itself. 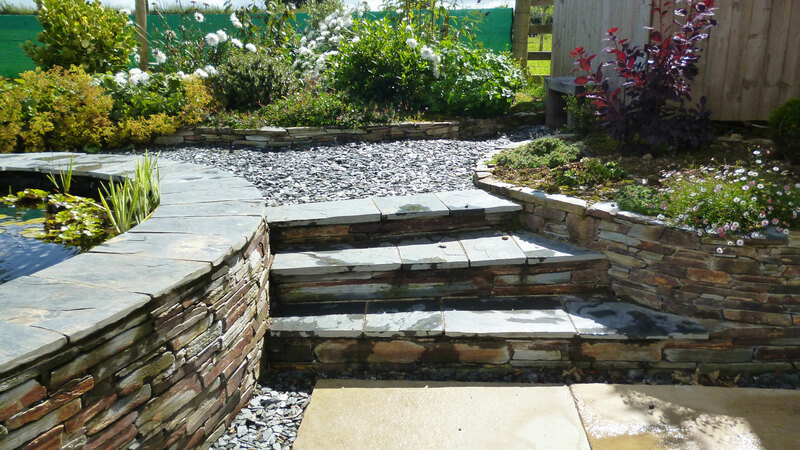 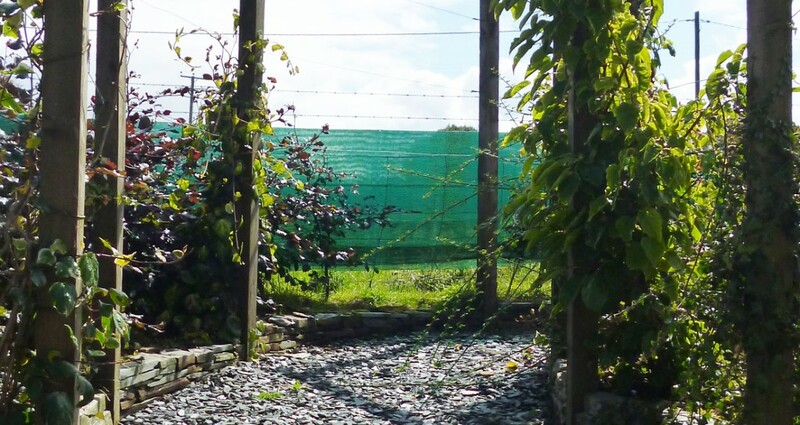 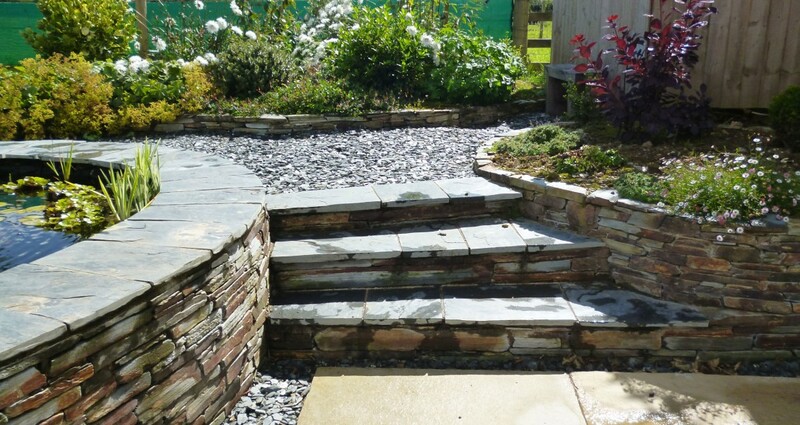 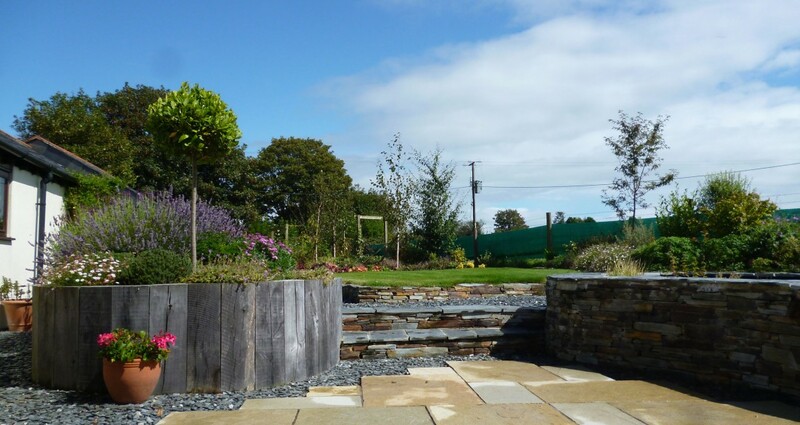 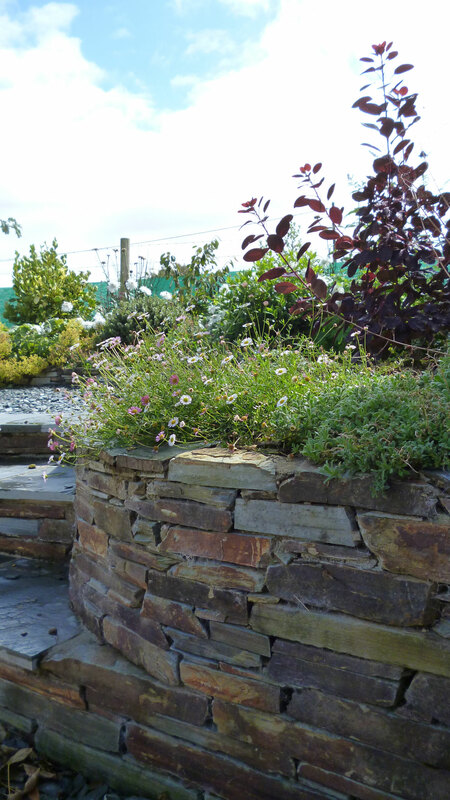 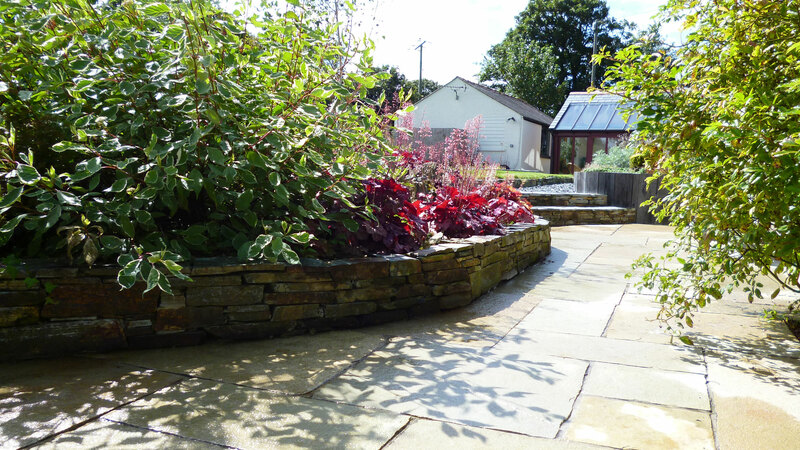 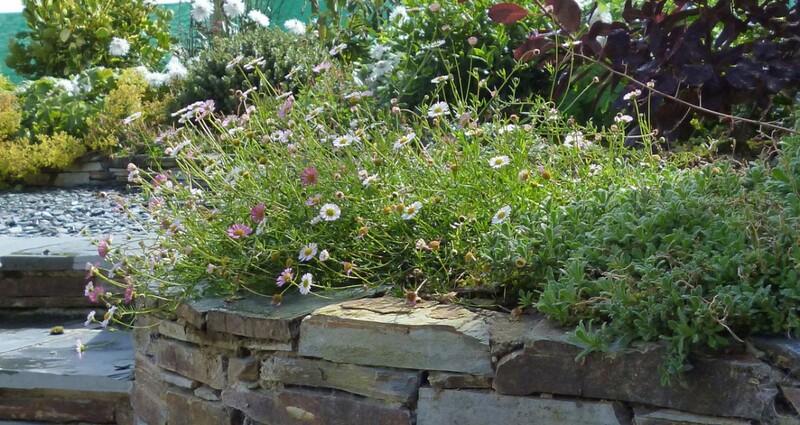 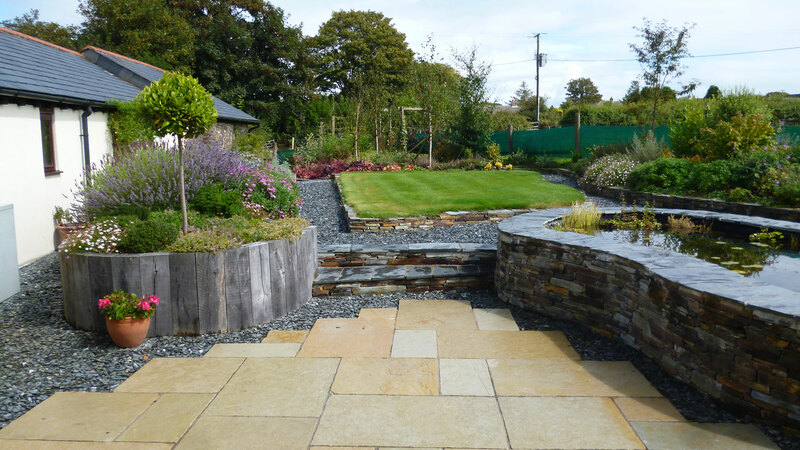 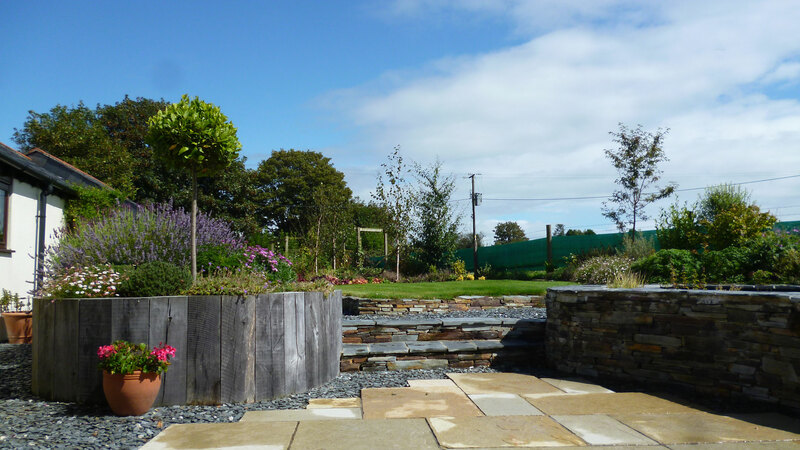 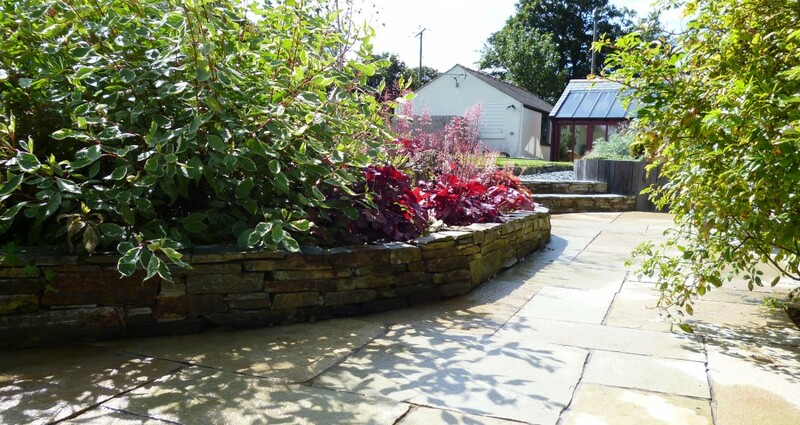 The garden has been constructed with local Cornish slate and oak sleepers giving it a natural feel that fits perfectly with the surrounding landscape.